This is a condensed version of an article previously published on the website Indo-Pacific Review. The longer version is accessible here. The presence of nuclear weapons in the arsenals of India and Pakistan ensures that when violence breaks out in South Asia, the world is quick to take notice. In spite of the progress made in the 1990s to institutionalize the security relationship between New Delhi and Islamabad a nuclear exchange in South Asia remains one of the greatest causes for concern in global affairs today. While the introduction of nuclear weapons ensures that there are no longer the massive collisions of military force witnessed in the Indo-Pakistan wars of 1948, 1965 and 1971, the trend in violence has now simply migrated towards conflict via proxy actors. Since the 1999 Kargil War, relations between the states are prone to sudden spasms of low intensity violence, with repeated acts of terrorism such as the 2001 Indian parliament attack, the 2008 Mumbai attacks or the more recent September 2016 attack on the Indian army cantonment in Uri, Kashmir. Uri however has tested to breaking point the policy of strategic restraint adopted by New Delhi towards Pakistani-backed proxy groups such as Lashkar-e-Taiba or Jaish-e-Mohammed, which operate out of Pakistan’s tribal areas. 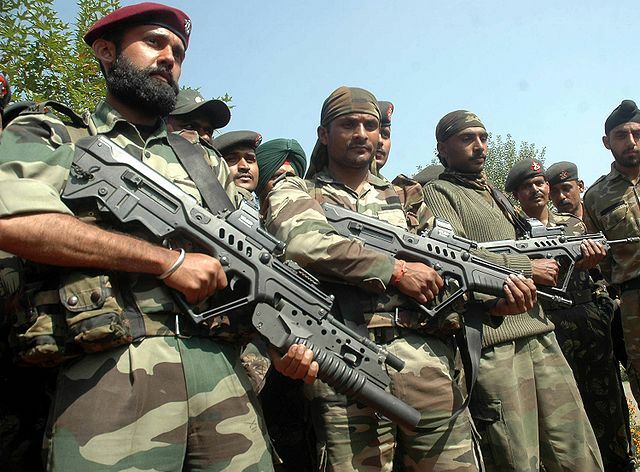 In response to the deaths of 19 army personnel and over 30 injured, India launched so-called ‘surgical strikes’, with special forces raids and artillery barrages against Pakistani border positions along the Line of Control (LoC) in Jammu and Kashmir. Islamabad responded with military actions of its own. Since the Uri attack in September, there have been a reported 286 incidents along the LoC. While exchanges in October were reported to involve primarily small arms and mortars, both sides now appear to be resorting to heavy-calibre field weapons like 155mm and 105mm howitzers and anti-tank guided-missiles, hence the increasing loss of life among civilian residents on either side of the Kashmir border. The 2003 India-Pakistan ceasefire agreement concluded under US pressure following the attempted bombing of the Indian parliament in 2001, now stands on a knife edge. Neither Islamabad nor New Delhi want to announce their withdrawal from the pact, given the international condemnation that would follow; however, the scale of violence and the various military moves and counter moves that have gripped Kashmir since September, attest that the ceasefire, for all intents and purposes, exists in name only. It’s worth mentioning that this recent escalation is the partial result of nationalist pressure within Indian and Pakistani public opinion, calling for revenge every time a life is claimed by the other side. Indian Prime Minister Narendra Modi’s willingness to use dramatic displays of military force for short term political gain gives New Delhi and Islamabad little room to manoeuvre. The surgical strikes post Uri may well have unleashed the nationalist genie, given how well the use of military force in Pakistan played in BJP and Hindu nationalist circles. The consequence, however, of continued insurgent attacks linked to the Pakistani Inter-Services Intelligence agency (ISI) places New Delhi in a difficult bind. Modi has set a precedent by responding to the Uri attack with direct raids into Pakistani administered Kashmir, as opposed to exercising strategic restraint. The next major loss of life by Indian forces in Kashmir would provoke widespread nationalist outrage in India that may not be controllable by the political class in New Delhi. In the event of another Mumbai style attack, the situation would be even more dangerous as Modi would then face impossible pressure from public opinion and the BJP to repeat or even escalate a military strike into Pakistan in response. In 2008 under Manmohan Singh and a more benign strategic situation, India came within hours of launching retaliatory airstrikes. There can be no doubt that the Indian military already has contingency plans for strikes into Pakistan waiting to be authorised in response to further acts of terrorism, strikes that Modi may not be able to resist. The political climate in Pakistan is equally grave. Should India launch additional surgical strikes similar to those conducted in September, Islamabad would not sit idly by this time. Pakistani Prime Minister Nawaz Sharif cannot afford not to respond to an Indian operation post-Uri. A failure to do so would almost certainly see his government fall. As in India, the Pakistani military establishment likely has plans to respond, either conventionally or more likely via proxy, to Indian military action. As with Modi, Sharif faces a climate that is increasingly weighted towards military action. Therefore, the situation in South Asia remains tense with both sides now backed politically into corners. It remains to be seen where the next terrorist attack will occur in India, but it is certain is that one will occur. The scale of the attack and the loss of life will likely dictate the level of response from New Delhi and whether the 2003 ceasefire will give way to the next Indo-Pakistan war, hence increasing the risk of a possible nuclear exchange. Photo: Indian Army Para Commandos (2010) by Panky2Sharma via Wikimedia. Public domain. Public Domain. Can Arctic cooperation be the next victim of great power competition?